Vatican City (Agenzia Fides) - In the year 2017, 23 Catholic pastoral care workers were killed worldwide: 13 priests, 1 religious brother, 1 religious sister, 8 lay persons. For the eighth consecutive year, the place most affected, with an extremely elevated number of pastoral care workers killed is AMERICA, where 11 pastoral care workers were killed (8 priests, 1 religious brother, 2 lay people); in Africa 10 pastoral care workers were killed (4 priests, 1 religious sister, 5 lay people); in Asia 2 pastoral care workers were killed (1 priest, 1 lay person). As it has been for some time, Fides’ list does not only include missionaries ad gentes in the strict sense, but all pastoral care workers who died violent deaths. We do not propose to use the term "martyrs", if not in its etymological meaning of "witnesses" since it is up to the Church to judge their possible merits and also because of the scarsity of available information in most cases, with regard to their life and even the circumstances of their death. Once again the majority of the pastoral care workers were killed in attempted robbery, and in some cases violently attacked, a sign of the climate of moral decline, economic and cultural poverty, which generates violence and disregard for human life. In these situations, priests, religious and laity share the same daily life with ordinary people, bringing the specific value of their evangelical witness as a sign of hope. Those who were killed are only the tip of the iceberg, as the list of pastoral workers or simple Catholics, assaulted, beaten, robbed, threatened, as well as Catholic structures at the service of the entire population, assaulted, vandalized or looted is certainly long. 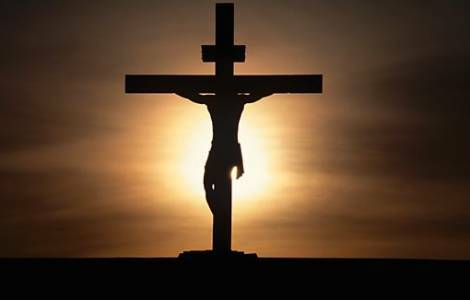 The provisional list compiled annually by Agenzia Fides, must therefore be added to the long list of many of whom there may never be news, who in every corner of the world suffer and even pay with their lives for their faith in Christ. Hardly any investigations conducted by the local authorities lead to identifying and convicting the perpetrators and the instigators of these killings or the reasons why they were carried out.